It's a new year and there is no better way for us to start that year than in God's Word, a fresh start in the forgiveness of sins, and the discipling that Jesus gives us in his Word. Listen in! It's Advent and we're getting ready for Jesus to come back on the last day. It's Advent and we're getting ready for Christmas. As we open up God's Word together in Advent, God fills us with his Word and his Spirit so that we're filled with hopeful longing and expectation. During our midweek series we will explore the story of Abraham, the great-great-great-grandfather of Jesus and learn to wait for him in hope, even when all hope seems lost. Each generation has the important job of passing down the legacy of God’s Word and the gospel of Jesus to the next. Each generation has the important job of passing on this legacy to the people of that current generation. Each and every generation has great work to do. And God has given each one of us the resources to do exactly what he wants us to do in our lives. In this short series, we’ll look briefly at how we can use what God has given us in our callings as members of a church, as members of our families, and as members of a community. God lets each generation play a vital role in how God does his work in this world. Listen in! As America moves further and further away from being a “Christian nation”, culture and even church opposition continues to increase. There is a greater need than ever for perseverance, wisdom, and courage to stand with Christ. There is a greater need than ever to stand on the Scriptures and to cling to Christ. Jude calls us to this fight and urges us to “Fight for the Faith” in this one-chapter book. Seven billion people occupy this tiny slice of history. This is when we live. This slice of space we as a church and we as individuals occupy. And it's not by accident. 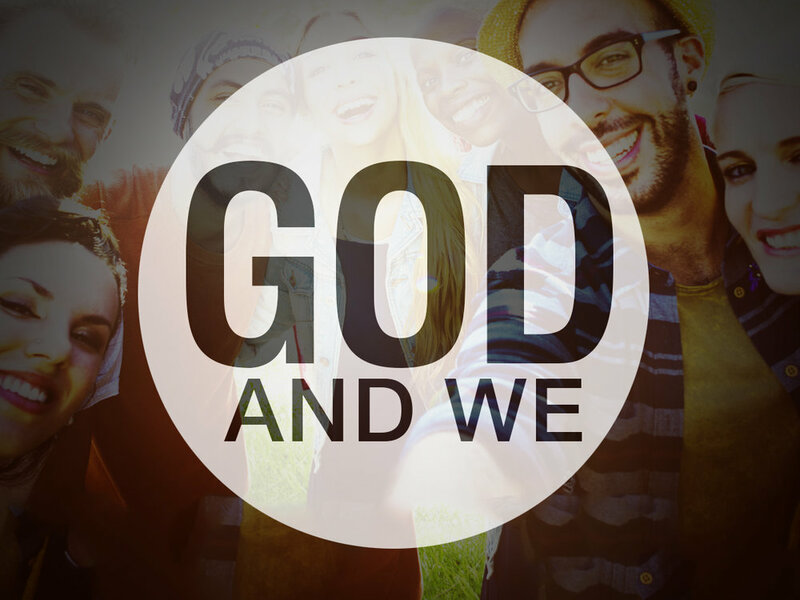 God put us here and now to make a difference–but He doesn’t want us to do it alone. Find out how in God and We. What makes a good friend? A great friend? The disciple John once recorded his best friend's words, “Greater love has no one than this: to lay down one’s life for one’s friend” (John 15:13). 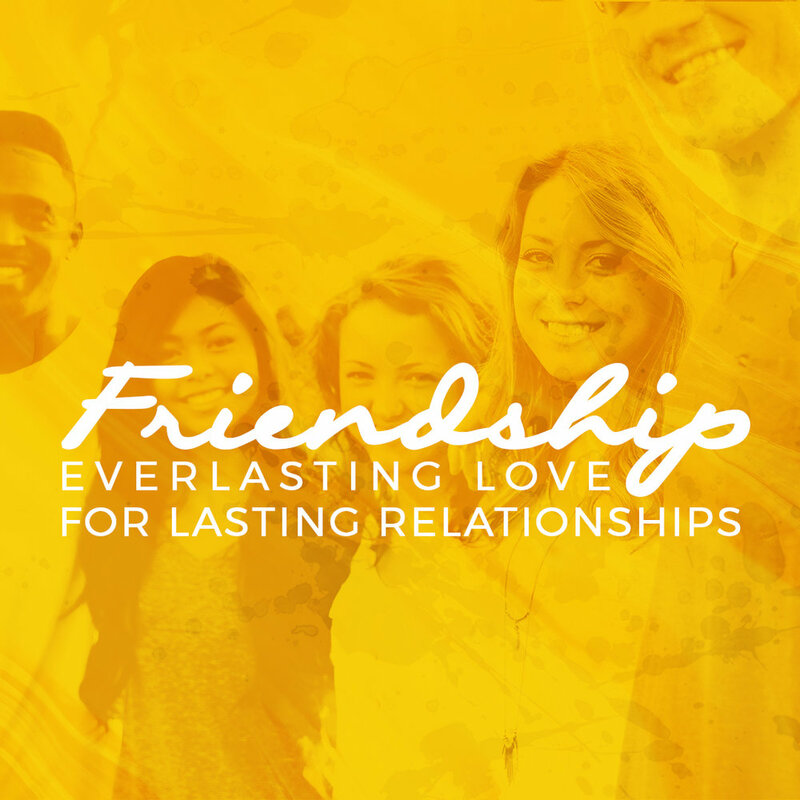 Learn how growing in relationship with our most faithful friend, Jesus, changes our relationships with others. Listen in. “I am so eager to preach the gospel to you.” Those were Paul’s sentiments to the Romans whom he had never met, but whom he longed to visit so that he might preach the gospel to them. But before he even visited them or met them face to face he launched into this beautiful letter to them detailing the gospel about Jesus. He was not ashamed because it is that very gospel – whether preached face to face or through a letter – that would save them. We also are very eager to unpack these powerful, saving words of God given through Paul because it is through these words that we too are saved. Listen in. The Christian church on earth is a greatly splintered thing. The Christian church on earth is a greatly troubled. It’s why many people stay away from the organized church and congregation. The organization is messy and splintered. But the true church, the one without walls, the holy Christian church, the communion of saints, is a beautiful thing. In this series we want to see the beauty of this ONE church and strive eagerly to keep the ONEness given by the Spirit. Listen in. This is what Easter is all about. It is a detailing of the otherwise unbelievable love of God in the sacrifice of his own Son for the likes of us sinners. It is an unveiling of the incredible victory gained by Jesus over all our sins, even over death itself. God gave us his Son. His Son conquered the grave. His Spirit resurrected faith in our hearts. And we respond with overwhelming confidence! Come death, come angels or demons! Let the past haunt me and the present scare me and the future terrify me! It is all nothing; the love of God in Christ leaves me at peace and secure. Paul shows all this to us in Romans 8 as he details for us the freedom, the love, and the power of God in our lives. Listen in. This series will look at Mark’s Gospel, examining the events that led up to the crucifixion and burial of Jesus. Mark took great lengths to communicate why the cross was necessary and what it accomplished for us. Namely, that the King of the Universe came to give himself as a ransom for a world that gathered to mock him, so that they could become people who worship him. The entire book culminates in the declaration of the centurion from the foot of the cross, “Surely this man was the Son of God”. Listen in. The Lord’s Prayer was not only Jesus’ model for prayer, but also has become the most famous prayer ever. But what does it mean? Why did Jesus choose those words? The goal of this study series is to teach the Lord’s Prayer so well that people want to pray it every day with passion and meaning. Listen in. Everyone has their own take on how the world should work. Even Jesus. Far from passive and lacking an opinion, Jesus offered clear--and in some cases--controversial takes on practical topics. He insists that those following after him must think differently about things eternal and things of the here and now. Uncut and unfiltered, Jesus speaks to us from the mount. Listen in. When we meet Jesus our lives are never the same. The shepherds saw him and returned glorifying and praising God for what they had seen. Mary treasured up these things and pondered them in her heart. Simeon was ready to depart in peace. Anna sang songs and told everyone about him. The disciples left their nets to follow him. When people met Jesus and encountered him, their lives changed. So will ours. 2017 just won’t be the same for us when we encounter Jesus in his Word! How could we be! Listen in. Have you ever been overwhelmed by the love of God for you? If not, John has a few words you need to hear. Jesus’ old friend reminds us of the mountain of gifts Jesus is dropping off at your door every day of the year and how those gifts are meant to remind us of the Giver’s love. Come and find más gratitude in Christ. Listen in.